Internet Solutions Review 2019: Is Internet Solutions a Good Hosting? Internet Solutions has accumulated considerable experience in the industry since it was founded way back in 1993. Although the customer service is slow (in my experience), the enterprise-level hosting plans are solid. Founded in 1993, longstanding company Internet Solutions (IS) is almost as old as the internet itself. Since its inception, it has expanded into multiple African countries and has made many acquisitions including Antfarm, ContinuitySA, MWEB Business, and Optinet Network services. Its fancy website is available in English. Internet Solutions owns and operates 13 data centers in South Africa. This is great in itself since it should mean quicker response times to issues. Even better is the fact that the data centers are all Tier III, so you should experience less than 1.6 hours of downtime per year. Although IS doesn’t advertise an uptime guarantee, it will provide an SLA based on the service you select. 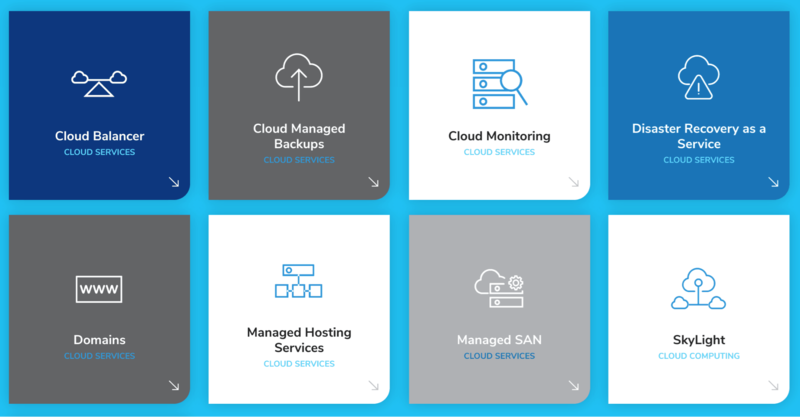 This company offers a managed cloud package, which means it will handle all the technical hosting requirements such as configuration and maintenance of the servers. Also, all of your security and data backups will be handled by IS. Services are monitored 24/7 to ensure any issues with downtime or performance are discovered and dealt with, and IS also conducts routine maintenance and backups. Although this isn’t required for small websites, for large or high-traffic sites it’s important to know that your data is being managed correctly. Internet Solutions’ prices are not displayed on its website, and you cannot buy hosting via the website. Although this may be a little annoying, it’s quite common for managed hosting services providers that will customize a plan specifically for your business. You pay monthly, and your payment amount will be adjusted (up or down) according to the resources you use. There are two tiers of packages: Silver and Gold. The features are the same, but the Silver plans come with 12-hour support whereas the Gold plans provide 8-hour support plus a free annual disaster recovery and restore. Both packages include monthly reports giving an overview of performance, patching, and backups. Online forms are provided for sales, general, and existing customer enquiries, and this company also allows you to visit its local branches in Cape Town, Durban, East London, Port Elizabeth, Bloemfontein, and Gauteng (all South Africa) plus Kenya, Mozambique, Nigeria, Uganda, and Ghana. The Internet Solutions website includes resources that are more like blogs than tutorials. When I sent an exploratory email, I received a prompt reply advising me that I had been referred to another department. So far, so good, but after several days I had still not received a subsequent response. Internet Solutions has grown significantly since launching in 1999, and now has 13 data centers dotted around South Africa. Unfortunately, customer service is slow, and the website is confusing. However, this company is certainly worth checking out if you’re serious about a South African host with its own infrastructure. Wondering how Internet Solutions stacks up against other Web Hosting companies? Enter any other Web Hosting company and we will give you a side-by-side comparison.